Yoga is a low-impact workout that can be done without the wear and tear of more common forms of physical exercise – and the activity is helping seniors live more active and healthy lives. Exercise without the strain of intense cardiovascular workouts. Yoga uses the body’s weight to improve strength without lifting weights. According to research, people who practice yoga regularly are 40 percent less likely to suffer from chronic disease. Increases flexibility – Yoga is a gentle exercise that helps increase flexibility. It’s a great option for older adults who experience achy or stiff joints – and even arthritis. These low-impact moves help to loosen and tone muscles and help prevent injury. Improves bone health – Yoga is a great form of exercise for seniors because it’s gentler on the body than weight lifting and running. Studies have indicated that, for seniors 68 years of age and older, yoga increased bone mineral density after two years of practice on a weekly basis. Improves Digestion – As people get older, their body’s ability to process food becomes slower and more sluggish. The twisting and bending motions of yoga help the digestive system become more effective. Relieves Stress – Seniors who practice yoga and exercise regularly tend to be more at peace than seniors who lack an outlet for anxiety and frustration. This can help to lower high blood pressure and allow people to sleep better at night. Judy said that Yoga class members support each other and look forward to the togetherness of the classes. Yoga also teaches important skills that seniors need for their safety. According to Nathan Torno, Senior General Manager at Bethesda Barclay House, our twice weekly yoga class is well attended. Other activities at Barclay House and Bethesda senior living communities throughout the St. Louis area include art classes, exercise programs, personal training services, massage therapy, water aerobics during the summer months, and educational lectures on health issues, including the importance of hydration and nutrition. 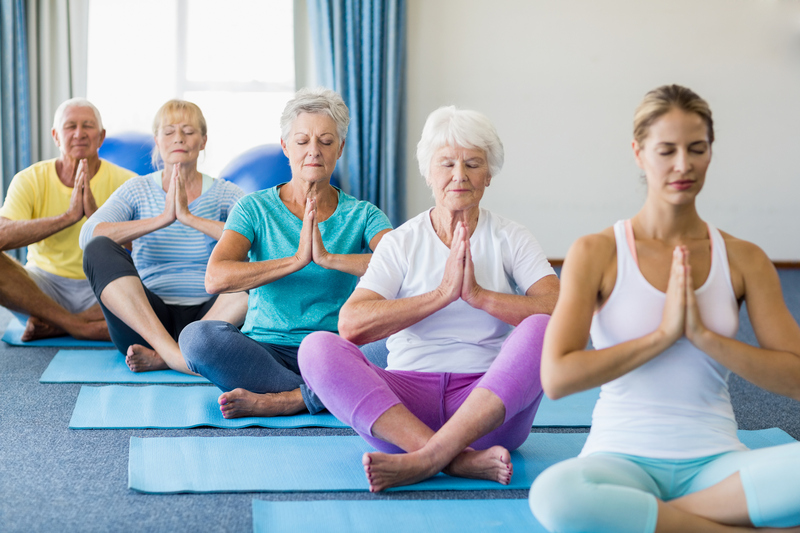 It’s important for seniors to stay healthy and active, and yoga is only one of many options offered at Bethesda. Contact Barclay House to learn more about the many activities offered through Bethesda’s Enrichment Program.